At no point in the history of consumer audio have there been more ways for the consumer to listen to music, more devices for them to listen through, and more varieties of speaker systems and headphones available. At every level of the audio food chain there are compromises in quality. In particular, smart phones, tablets, laptops and small speaker systems present a great challenge to the mix engineer; getting a mix to translate to these speaker systems is not just a matter of frequency response limitations, but also of the limited dynamic range capabilities of consumer electronics. Miniaturized components supplied by relatively weak power sources are a basic recipe for distortion and poor audio quality. Even in the quietest of listening environments, this can leave a lot to be desired. But before you throw your hands up in the air and decide to ignore the millions of people who will listen to music regardless of the quality, take note of how valuable this information can be to your work. If the consumer only hears hi-hat and cymbal crashes when they play your mix, they may decide to not listen at all. This does a great disservice to the artist and the community the artist is trying to reach. 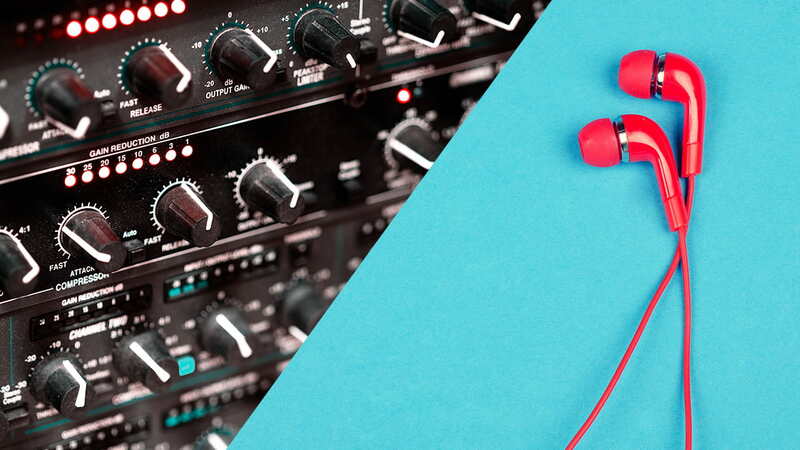 While it is practically impossible to make your mix translate perfectly to all media devices, there are some important things to consider when constructing your mixes that will help them cut through the wide range of quality and frequency response characteristics of consumer devices. The earlier you address these concerns in the mix, the less often you will find yourself burdening or begging the mastering engineer to fix the problem. The following will help to break down some simple, effective techniques that will not only improve fidelity on low quality speaker systems, but will also help your mixes translate better to a wide variety of higher fidelity systems. The best place to start is with the foundational limitation of all small speaker systems: their inability to reproduce the full frequency spectrum of our hearing range. So what frequencies can these small speaker systems reproduce? For the most part, all small speaker systems will cover the upper frequency spectrum fairly well, with many having a frequency response up to 18 kHz. The real issue comes in the lower frequency range, where a large portion of the fundamental frequencies of instruments live. The response of many cell phone speakers begins to drop off around 800 Hz, tablets extend the range to approximately 400 Hz, and laptops often sit somewhere around 200 Hz. These averages operate as a springboard to help judge what your mixes may sound like. Adjust your monitoring: Set up an EQ on your master channel and set 3 different high pass filter points (200 Hz, 400 Hz & 800 Hz) at a 6 dB per octave slope. Store this as a preset so you can quickly switch between the settings. Listen: Listen to your mix with the different filter settings and note what happens to each instrument, especially the bass and low frequency synths. Take notes: Note what happens to the most affected instruments. Do they disappear entirely or just dip in perceived level? Use commercial references: Now bring in a well-produced commercial record that relatively matches the production style of the song you are mixing. Toggle through the different filter settings and notice how the commercial release responds to the same setup. The objective of this evaluation is to note what happens to your mix versus the way a commercial release responds under the same circumstances. Aside from the frequency loss, it’s important to be sure that each instrument is still represented when the different filtering stages are applied. Perhaps the least talked about aspect of small speaker systems like those found in mobile media and laptops is their limited dynamic range capabilities. The primary issue is that the speakers are often flat and are confined to a very limited range of movement to accommodate a thinner physical product. This limited range of movement means that music with too much dynamic range will distort peaks and transmit low level information inefficiently without much clarity. If you are not a big fan of making your final mixes and masters loud, this may come as very disappointing news. It is very likely that the reason the commercial reference translated better through small speakers is due, in large part, to the compressed dynamic range from the mix and mastering. The reason is very simple: if you place a limited dynamic range mix into a speaker system with a limited dynamic range, you will allow it to operate at maximum efficiency. It is vitally important for every instrument in a mix to have frequency representation in the 400 Hz to 6K range. Most instruments will have an attack frequency that cuts through in this range, but where you boost is important. Attack boosts in the 700 Hz to 2 kHz range offer the best balance of important localization cues without harshness. It will also pull in valuable harmonic information that will cut well on smaller speakers. Just be sure to mind your real estate; boost and carve so that each instrument can get a say in this range without stepping on top of each other. This a hidden secret for setting mix balances, especially as it relates to small speakers with a limited dynamic range. Very low listening volumes expose both instruments mixed too high and too low. Instruments mixed low will fall into the noise floor of the room, and instruments mixed too high will stick out like a sore thumb. The added Fletcher-Munson effect of low volume and the decreased efficiency of your monitors will help to simulate inefficiencies that occur with small speakers. Low frequency instruments like basses are the biggest challenge to pull out of small speakers. Sine wave-like bass sounds can be to toughest to draw due to the sonic purity of an unaffected sine wave at a low or sub frequency. This is where harmonic enhancement can provide a huge lift. Harmonics are most commonly generated through saturating analog components. The resulting distortion creates harmonically related frequencies that are musically pleasing and provide auditory cues that ripple up the frequency spectrum into the 400 Hz - 6K range. If applied well, it can add that note to a small speaker system. Many small speaker systems are either mono, or the stereo speakers are so close together that they are effectively mono in terms of our perception. As a result, checking your mix in mono is critical to getting the mix to translate well. There is good reason why so many mixers today pan the most important instruments to center and make the side signals loud. Try to keep your “wider than stereo” processing to special effects, and off of primary instruments. Otherwise, they will probably disappear in mono. One of the most effective ways to achieve loudness is through liberal use of compression. This does not mean that you need to crush everything through a single limiter, but rather layer compression for better control on individual tracks, stems and the mix buss. Do not be afraid to subtly layer more than one compressor onto the same track. Setting up analog tape emulations on individual tracks is a great way to control peaks, add valuable harmonic content and warm up the sound. Aggressive parallel compression chains also can go a long way to bringing the RMS energy closer to the peak signal levels of the mix without destroying the dynamics of the song. Getting your mixes to translate to small speaker systems should not have a negative impact on monitoring with full-frequency systems. Many of the techniques outlined here are not major reconstructions, but are relatively minor adjustments. If they are applied as a part of your normal mix workflow, you will likely find that your mixes translate well to smaller systems with minimal extra effort. Be patient! The process of getting your mixes to translate well to any device is no easy task, and is something engineers have been working toward for decades. Begin by following the techniques and advice that you've learned here. Listen to commercial music through small speaker systems whenever you get the chance; it’s important to find references that translate well on small speakers, and to see what they sound like in your studio. Making mixes translate to small speakers has been going on for years – even before the time of smartphones. The use of Auratone Super Sound Cubes in professional studios goes all the way back to the 1960s; their purpose was to serve as a reference speaker that would represent consumer speakers found in radios and cars. 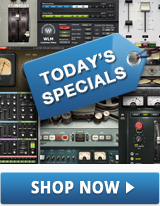 They quickly became an industry standard for mix engineers worldwide. The related mixing techniques were similar then as well. Though there weren't nearly as many compressors readily available as with DAWs today, almost every analog stage of the recording and mixing process would provide forms of limiting, compression and saturation. Mono compatibility was also a huge part of mixing due to AM radio and TV broadcast standards before cable TV. What’s old is new! The same techniques apply today, and are as equally effective in getting your mixes to translate better to all sorts of speaker systems, big and small. Want to learn more about analog harmonic distortion? Get tips on applying analog-style harmonic distortion from within your DAW. Do you have any mix translation tips that we missed? Let us know in the comments below.